The product is acquired from an authorized Rotel North American dealer and the attached warranty registration card is completed and posted within 30 days from date of purchase. Any claim arising out of this warranty should be made either directly to the authorized dealer from whom the equipment was purchased or to Rotel. 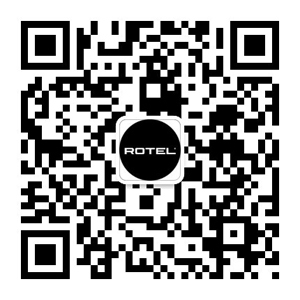 As a condition of Rotel's obligation to honor the terms of the warranty, a copy of your invoice or bill of sale from the authorized Rotel selling dealer must be supplied when the product is presented for repair. (a) In the event of warranty service being required from Rotel the equipment must be securely packed and dispatched to Rotel or the nearest authorized service depot, pre-paid and if desired, insured by the owner. (b) Defective component parts (excluding fuses) will be replaced free of charge and the equipment returned freight paid. a) Damage caused by incorrect use of the apparatus. b) Loss or damage in transit in either direction. c) Contingent and third party liability. Any service modification or alteration carried out by any person other than the authorized representative of Rotel or their appointed agents renders this warranty invalid. No alteration or variation of the warranty will be recognized. Note: Any products that may qualify for several product categories and include a CD or DVD player (for example RCX-1500, RSDX-02), will be considered a CD/DVD player and carry a 2 year warranty. Do you need help with warranty service?